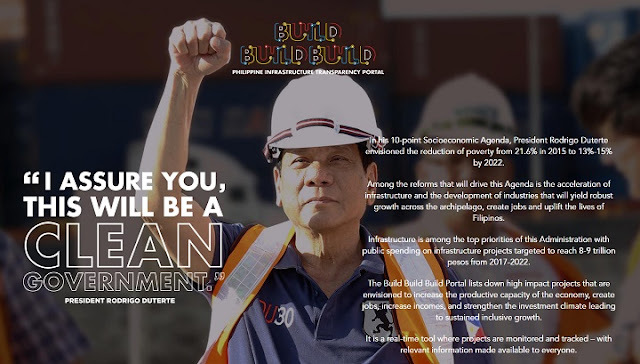 BUILD, BUILD, BUILD – The Department of Public Works and Highways (DPWH) Region 6 announces that the 191.8 – linear meter bridge connecting Municipalities of Maasin and Alimodian, Iloilo is nearing completion. 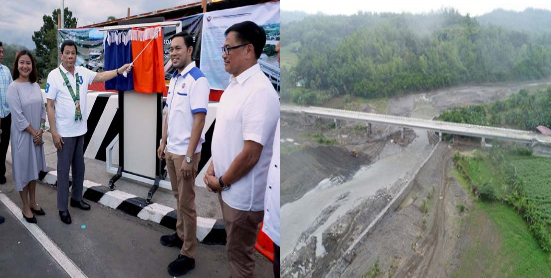 Known as The Aganan Bridge Project, which estimated to have cost P161.80 Million in the making, built along Mandurriao – San Miguel – Alimodian – Maasin – Cabatuan Road, is substantially complete with a few more touches in slope protection and bridge passages. When finished, Leaño said that the bridge shall purposely enhance the delivery of agricultural products from local Iloilo towns, boosting productivity and profit and prompt a socio – economic development in the towns of Maasin and Alimodian. It shall likewise facilitate access to various tourist destinations in Alimodian and its neighboring towns. With the completion of its final phase set on August 9, 2018, the Aganan Bridge conforms with current road capacity requirements imposed by the DPWH design guidelines, standards and criteria which primarily made up of 2 lanes, 6 spans, a sidewalk on both lanes with railings and slope protection. The bridge’s construction started in May 22 last year.